I love the dynamism of the Infinity line. 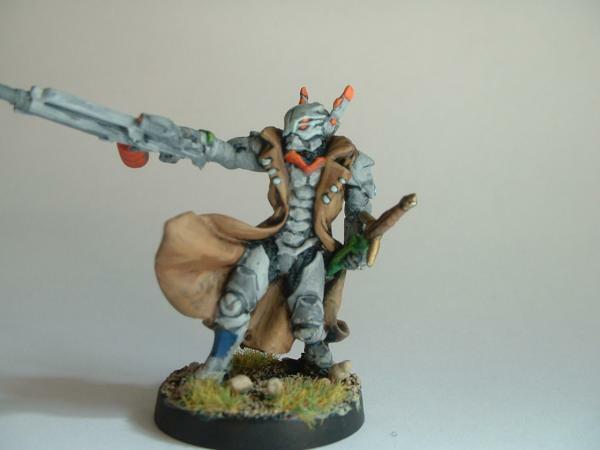 Great sci-fi miniatures, and fun to paint to boot. 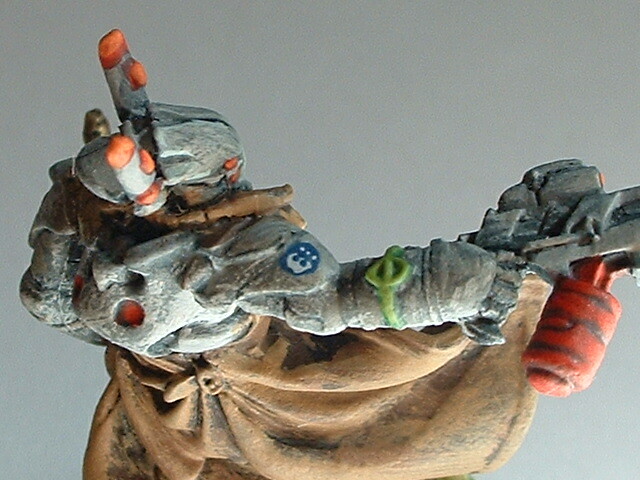 Below is a shoulder detail w/ the Pan Oceania seal. I love the Infinity models, and you've done a nice job on this one. It could just be the photo but the close up looks kind of grainy. Nioce job, especially the insignia.